Here, we celebrate our people. We wouldn’t be opening a new restaurant every two days if it weren’t for their hard work and incredible talent. So we set them up to succeed—with competitive compensation, great perks, and the opportunity to grow with us as we work to cultivate a better world. WE OFFER REAL OPPORTUNITY. SEE HOW. 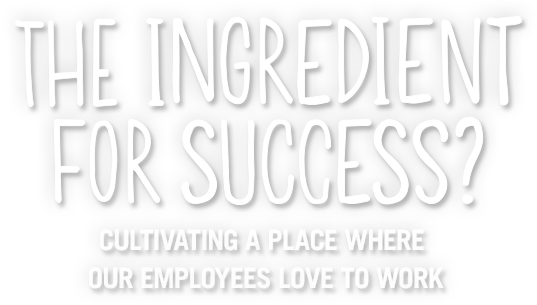 At Chipotle, we’re committed to creating an environment that’s challenging and fun, but mostly, fulfilling. It starts with creating a culture where opportunities for growth are everywhere, and hard work is acknowledged and rewarded with competitive compensation, bonus opportunities and great benefits. We promote from within and create a supportive environment where our employees are given the tools to succeed. It’s a well-rounded job, for folks looking for more than a place to work, but a rewarding career. Ours is a culture that supports success—by focusing on what matters. Our dress code is casual—jeans are totally acceptable. This relaxed yet presentable style makes for a comfortable work environment for everyone. Of course we work hard, but we also make having fun and enjoying our work a top priority—because when our employees are happy, everyone is better off. At Chipotle, we know that our people are our greatest asset. That’s why we do our best to foster a strong people culture made up of hard working and passionate team members working together toward a common goal - cultivating a better world.